I know a lot of you are interested in learning more about how Lincoln's war impacted our local area – as well as the state and beyond. 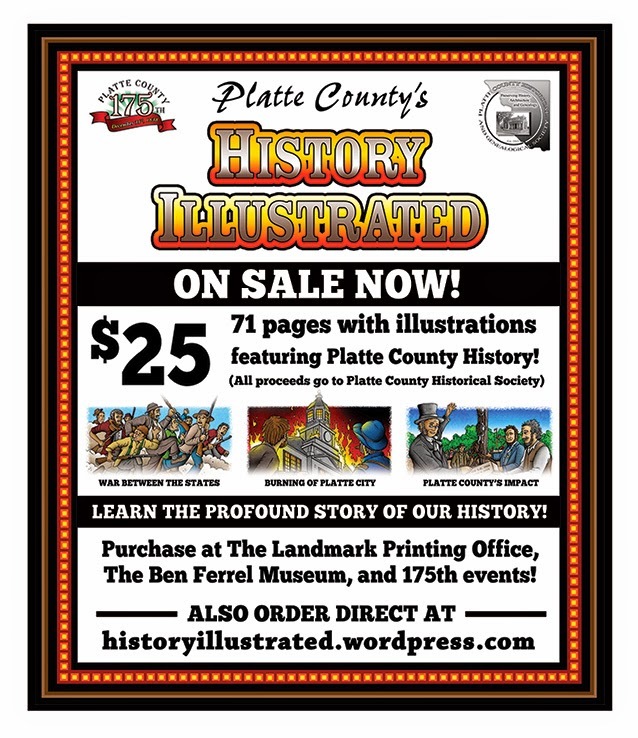 So I thought you might enjoy learning about a graphic novel history book I just finished up. This has been a big project, but one that I hope will prove to be a great educational tool for people regarding an accurate and unique look into the history of our communities. The book is 70 pages, and is sized at 8.5 by 10, with full color illustrations on each page. While it discusses the settlement, growth and prosperity of a community in Missouri, it also discusses the Border War and Lincoln's War in great detail – and the terrible impact the war had on the people who lived here. The source material comes from W.M Paxton, a man who wrote in great detail about these events, and was in many cases an eye-witness. His 1100 page "Annals of Platte County" were published in 1897. If you'd like to learn more, I just finished up a website for the book. It has a Frequently Asked Questions Section, About Section, Trivia section, and more. Don't miss the animated banner ad and video (with sound! ), that also tells a little bit about it. I've attached an updated flyer reflecting the new website where the book can be ordered. 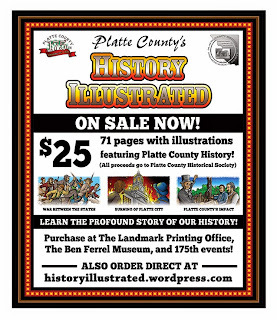 I think this could be a valuable resource for people who would like to help their children or grandchildren learn more about this important time period. I'm sure I will be around at various events if you'd like to get one from me in person – but if you'd like to order one off the website, that would be fine too. Also, please forward to anyone who might like to learn about this!